Matthew actively practices law in California's State, Federal and Bankruptcy Courts. He also maintains a license in his home state of Michigan. 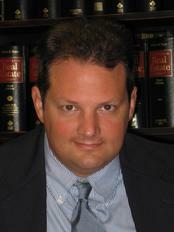 His practice focuses on Civil Litigation with an emphasis on Employment Law, Family Law, Probate and Contractual Disputes. He also provides general Estate Planning services and business services to small employers throughout California. Matthew has extensive law and motion, deposition, mediation and trial experience in his almost 30 years of experience in the legal field. Golden Gate University School of Law, J.D. 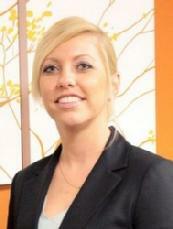 Meghan actively practices law in California's State and Federal Courts. She also maintains a license in Michigan. Her practice focuses on Civil Litigation, with an emphasis on Employment Law and Family Law. She also advises small businesses and employers throughout California regarding business, contract and employment issues. She has extensive law and motion, deposition, mediation and trial experience in her 11+ years of practice and more than 16 years' experience in the legal field. Matthew M. Oliveri and Meghan E. Oliveri are licensed to practice law and provide legal services in California, Michigan and the Federal and Bankruptcy Courts in both States. Disclaimer: The material on this website is for informational purposes only and is not intended as a guarantee, promise, warranty, or any other contractual commitment under law. NO attorney-client relationship or privilege is assumed or can be established by merely viewing the information on this site or by contacting anyone associated with this site. An attorney-client relationship can only be established through a meeting between a licensed attorney and a prospective client.